If you love seafood, then the title of this article pretty much needs no further embellishment. This is a simple dish that is very easy to prepare. Time from start to table is little more than 20 minutes. It’s a great elegant meal for a weekend dinner or a quick weekday meal; especially during the Lenten season. The key as with most Italian cooking, is to get the best ingredients you can find. 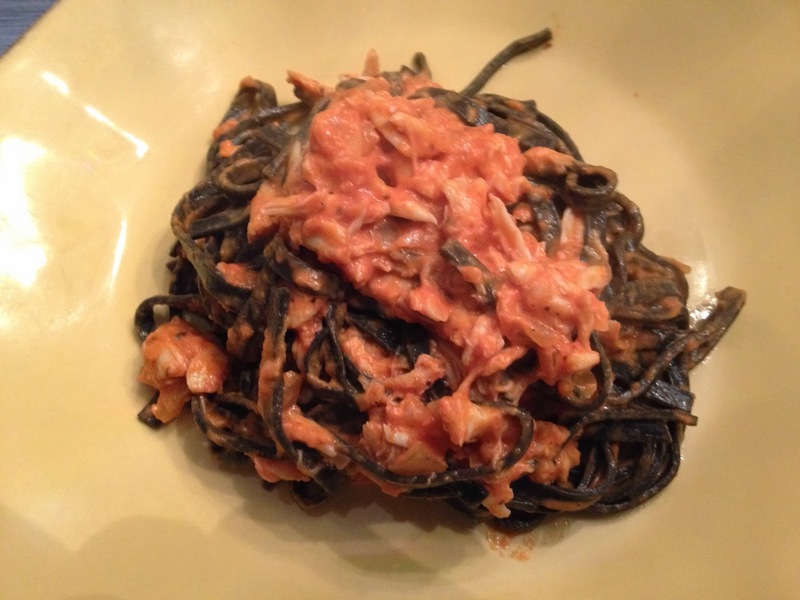 A word about the pasta….. Black Linguine is simply pasta that has been colored with the ink from a squid. I like the look of it on a plate because the contrast can make for a pretty presentation. Don’t be intimidated by this ingredient. It lends the pasta a somewhat mild flavor of the ocean. 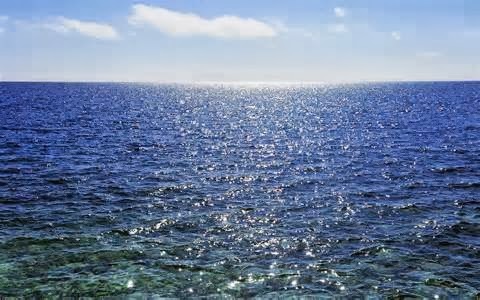 A briny, rich salinity. Not a salty fishy flavor. It’s a bit delicate, so you don’t want to over sauce the dish. Start some olive oil in heavy pan and saute the onions and garlic until fragrant. Season with salt and pepper. As the pasta water is boiling, add the passata to the pan and stir. Simmer on low heat. 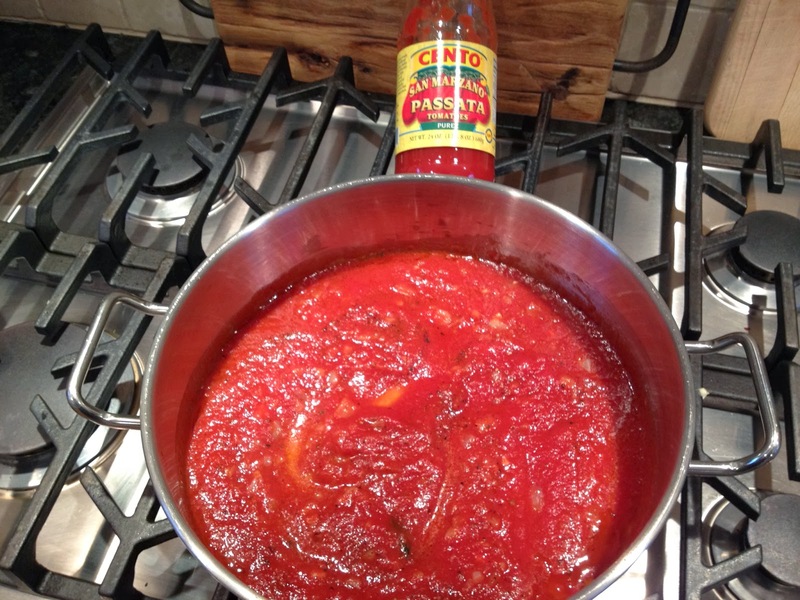 I like to use the passata because it imparts a lighter, fresher flavor to the finished sauce – and that’s what I’m looking for here. Not a long cooked flavor profile. About half way through cooking the pasta, add the crab to the sauce and stir through. I used fresh, cooked crab, so all you need to do is warm it through. You don’t want it to toughen up. Finally, just before the pasta is short of al dente, add just enough cream to the sauce to turn it pink. It’s not really a cream sauce, you only want to affect the color and only slightly affect the consistency. Drain the pasta early so that you can finish cooking it in the condimento. (sauce) This recipe met with rave reviews. Sprinkle a little crushed red pepper at the table and you have one decadent but simple meal.